Nephrology Fellows who placed highest in Regional Forums were invited to compete at the 13th Annual National Young Investigators Forum, held April 10th at the 2018 NKF Spring Clinical Meetings in Austin, TX. Final awards were determined through an open competition judged by independent clinical experts. The National Young Investigators Forum was sponsored by an educational grants from Amgen and AstraZeneca. 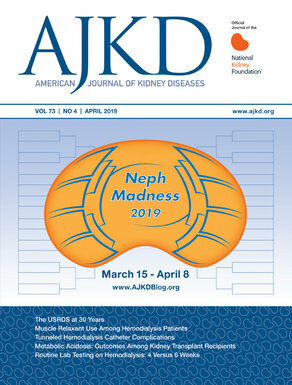 The NKF Spring Clinical Meeting abstracts are available in the April 2018 issue of AJKD. Check out more AJKDBlog coverage of #NKFClinicals!